You’ve heard the old adage (and probably told your crews more than once) “time is money”. That’s because labor can be the largest factor in any artificial turf installation. You need to save time, but you don’t want to cut corners on quality. Wonder Edge can be the answer. That’s because it is the artificial turf border that was designed from the ground up (pun intended) for fast and easy installation. 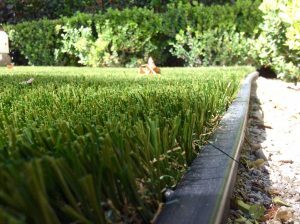 Whether you are installing in karst rich areas of California or Kentucky, the granite studded regions of Georgia or North Carolina, or the limestone of the Florida Keys, trenching for your artificial turf border isn’t always easy. Many times, the organic turf is replaced by artificial turf because the soil is poor and rocky. Doesn’t make for easy trenching. 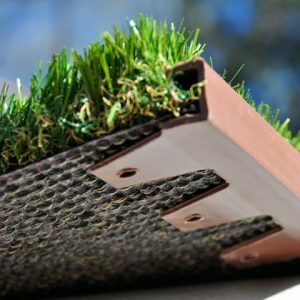 But what if you could install the artificial turf border without digging? What if you just used the nail spikes you already have on hand to attach the border to the sub base about every 2 to 3 feet? You would say good-by to bender board forever! 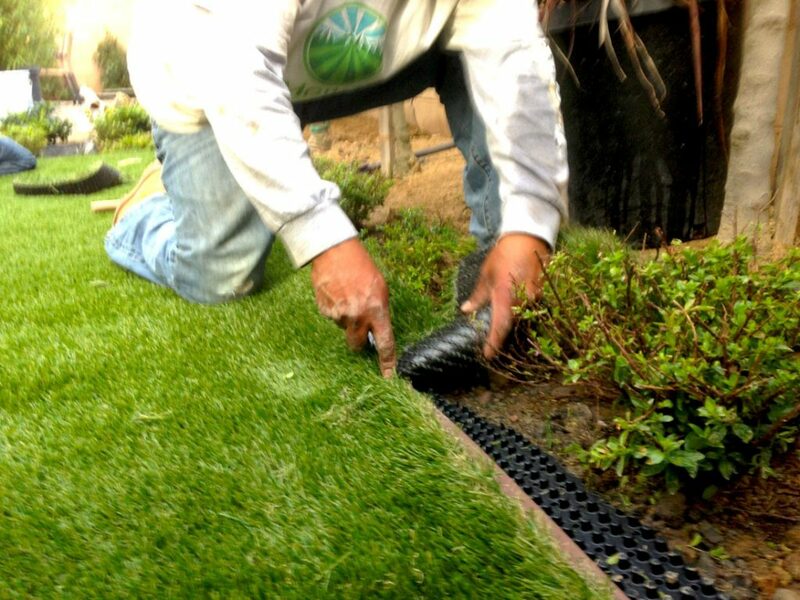 Now you see how Wonder Edge makes artificial turf border easy and quick to install? Placing an artificial turf border on a hardscape installation is time consuming with bender board. But with Wonder Edge, hardscape installation is a breeze. Wonder Edge LP is made with a low profile perfect for hardscape edging. It’s still easy and quick to install. Just use epoxy or other adhesive to glue it down. When you are ready to install the turf, all you need is a rough cut edge. Just tuck it into the convenient slot and be done. 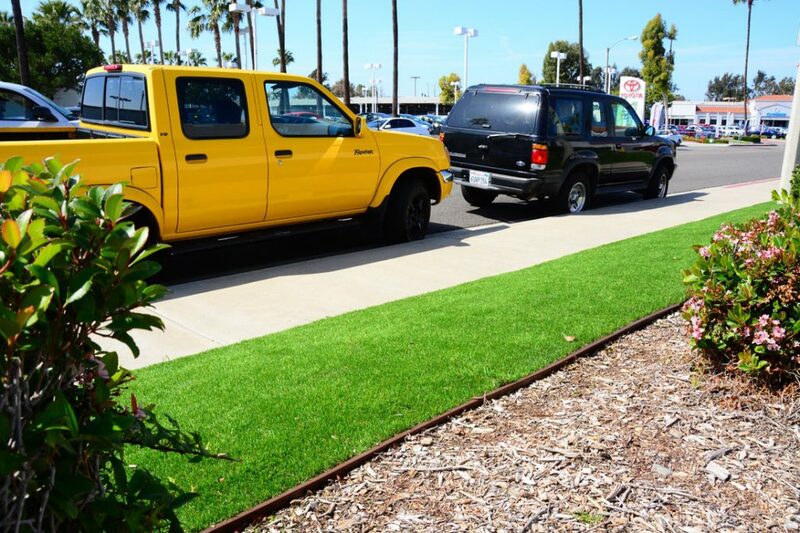 Artificial turf pros across the U.S. are realizing increases in install efficiency with Wonder Edge. The “no digging, no trenching” install method takes only 10% of the time as traditional bender board install. Because you tuck the turf edge into the Wonder Edge slot, tacking down the turf edge goes faster too. Imagine what you could do this this “extra time”. How many additional installs could you perform in one week, one month, or one year using Wonder Edge? How much additional profit would this efficiency generate? Property managers and homeowners appreciate the time savings as well. The faster you are in and out the less down time they incur. Their time is money too, and they know it. Say good-by to digging, trenching, and bender board forever. One install with Wonder Edge and you’ll never go back. Easily install to sub base and quickly rough cut and tuck turf edges. This isn’t working smart versus working hard. Find a Wonder Edge dealer near you or order Wonder Edge products online. Say good-bye to bender board and hello to increased efficiency.